Energy: Do You Know What's On Right Now? - Chadwick Electric Services Inc.
Energy: Do You Know What’s On Right Now? Have you ever thought about how much energy your home’s devices use? Unfortunately, it’s probably more than you think. The reason for that is that so many of them are now using constant energy. While this makes life more convenient, it’s good to know exactly where all of that energy use is coming from. As Tatiana Schlossberg tells us in the New York Times article, “Just How Much Power Do Your Electronic Devices Use When They’re ‘Off?’, approximately 50 devices in your home will constantly consume energy, even when they’re off. Those devices can range from your cable box to your coffee machine. For more on those devices, read the full article here. How is this affecting your home? What does it mean that so many devices are actually on when they’re off? According to a 2015 report by the National Resources Defense Council, the energy costs from inactive devices can be as much as $165 per U.S. household annually. They’ve noticed an upward trend in the number of always-on devices a house has due to the digitization of even common appliances. That increase is due to the various “smart” devices that now connect to the internet, such as washers and dryers. If you happen to have a smartphone or a laptop, chances are you have at least one device that is constantly drawing power. Unfortunately, not many of us stop at one device. We may have TVs connecting to the internet, Apple TV or some kind of streaming device, game consoles, even our routers are constantly using energy. In 2014, U.S. Americans used an average of 12,986 kilowatthours (kWh). Compare this to the 5,219 kWh that the United Kingdom used for that same year and you can see that we’re consuming a lot of energy. What can you do to reduce your energy usage? Luckily, there are things you can do to reduce the amount of power your appliances are using when they’re idle. There are five actionable steps you can take right now and in the future to cut down on your energy usage. Unplug devices that aren’t used very often. These can be entertainment units in guest bedrooms, second or third refrigerators, and even the furnace in the summer. Use a power strip for devices that can all be turned off at once. Everything connected to your entertain center can be turned off at once: TV, speaker bar, Blu-Ray player, etc., so can your computer and its accessories. Plug appliances into a timer to turn them off when they’re not typically in use. Those include the hot water recirculation pump, instant coffee machine, and towel heater. Adjust power settings where available. This option can typically be found on televisions with a “quick start” setting, your laptop for inactivity – and turn it off when it’s not in use, and your game console if it’s on “instant on” mode. Purchase ENERGY STAR™-labeled equipment and appliances to minimize idle load, which is a main requirement. You can also go to www.UnplugStuff.com to see how much energy your home is using when it’s idle. Are you a skilled electrician who is tired of going to work and doing the same thing day after day? Maybe the work has become mundane and no longer challenges you. You need something fresh and exciting that allows you to be creative and challenged. If so, this very well could be the job for you. You won't be stuck on jobsites for months at a time. Company vehicle will be provided with all the material necessary to perform the work professionally. You will be given clear expectations so you know what to do yet the flexibility to use your own talents and skills to make a difference in the lives of our customers. You will be recognized and rewarded for your successes and given sincere feedback with suggestions for improvement as well. All you need is to be highly motivated with a Colorado Journeyman or Wireman state electrical license, a clean background and strong communication skills. We are NOT a commissioned sales company! Chadwick Electric Services is a residential service company whose core focus is: Building a business that improves the lives of our customers and our employees while concentrating on quick and efficient home service. We are: Driven, Determined, Passionate and Committed individuals who are excited about self improvement through continuous learning. We build strong and lasting relationships through articulate communication and we always strive to "Do the Right Thing". We look forward to hearing from you to see if we will be a strong fit for one another. Please send Resume if interested. This is the inside of a range that burned up in a customers home today. 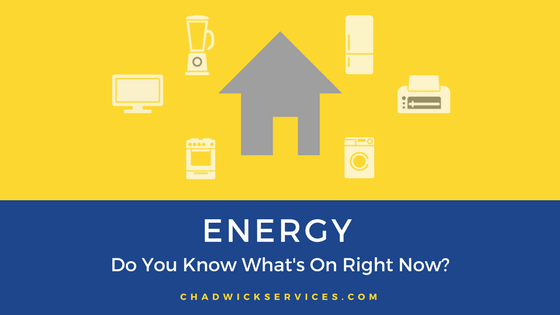 Chadwick Home Services were able to quickly identify the issue and ensure all other concerns were completed and safe going forward.